No two pet sitting or dog walking business are the same. That’s why we allow the most advanced level of configuration in the industry. 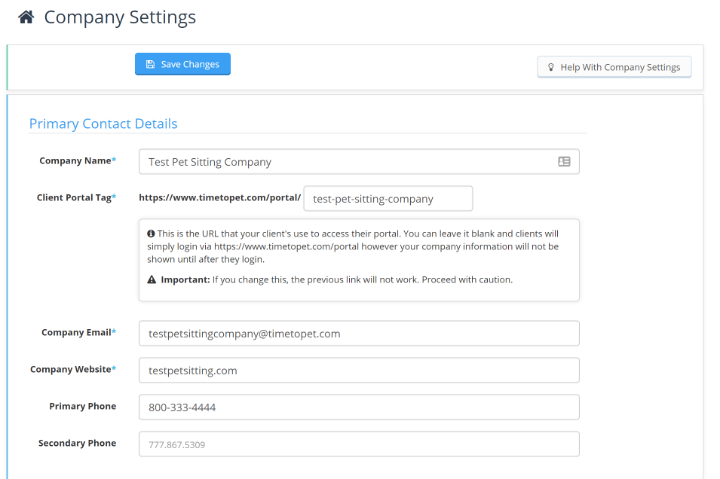 You can customize nearly every aspect about your pet sitting software including custom fields, permissions, your theme and more! You can customize every detail about your company all the way from your company name, your address and your Client Portal tag. Creating a custom Client Portal tag gives your company a unique link to share with clients and to use on your website under your “Client Login” button. You can also set tax rates, custom key locations and more! Pet sitting and dog walking companies collect very different pieces of information about their clients. A company in New York may look for data on dog parks and cross streets while a company in Nebraska may need to know where a pet sitter should park their car. Time To Pet allows you to customize all of the information you collect about clients and their pets! The happiness survey is a tool used to gather feedback from your clients. Most companies believe their clients are happy with their service but are they 100% sure? 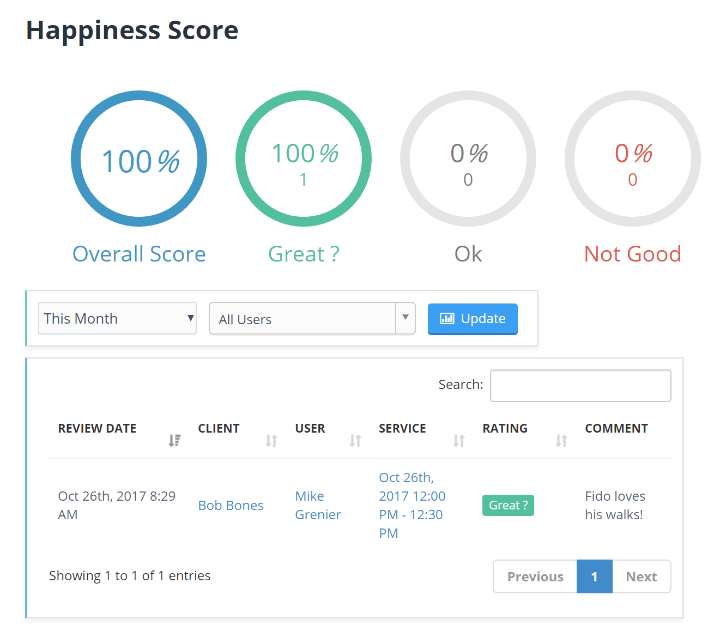 The happiness survey allows you to collect regular feedback and to address any issues that may pop up before they become problems. Building a company is about more than dog walks and invoices. It’s about creating a brand. Every interaction with your customer should reflect that brand. That’s why we allow custom messaging. You can customize messages that are automatically sent to clients including the welcome email, service confirmations and invoice emails. Time To Pet supports four unique roles. Admins, office managers, staff members and trainees. 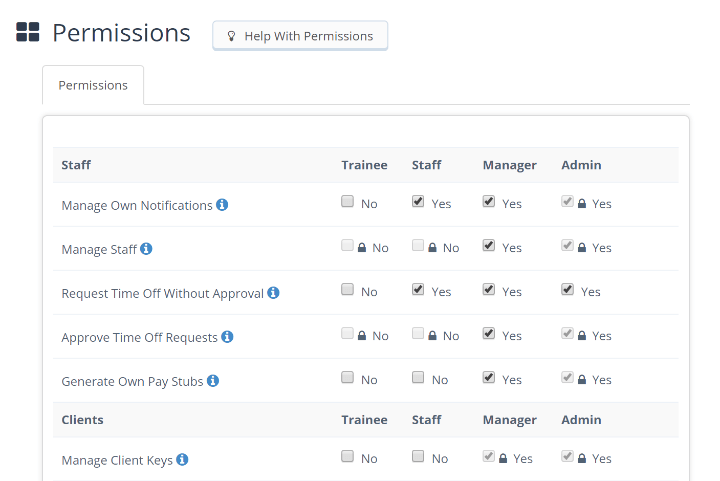 Each role includes their own unique set of permissions that allows that role access to different feature in your system. 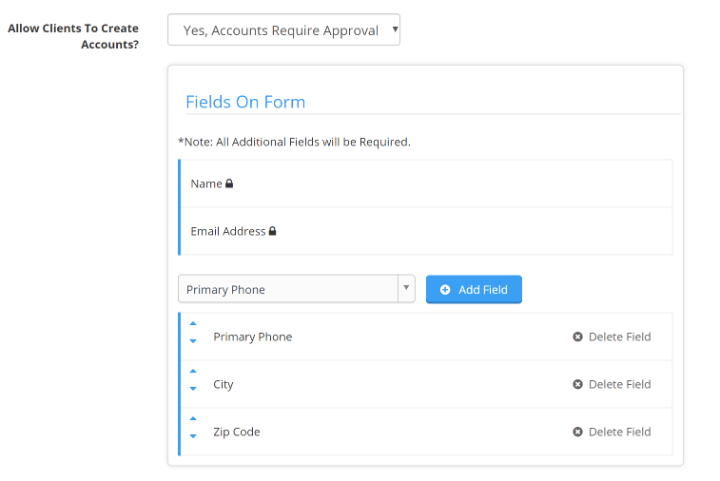 Want to allow office managers to approve schedule requests? Just adjust their permission settings! When your customers login to the Client Portal for the very first time - you can require that they e-sign your company’s portal policy. 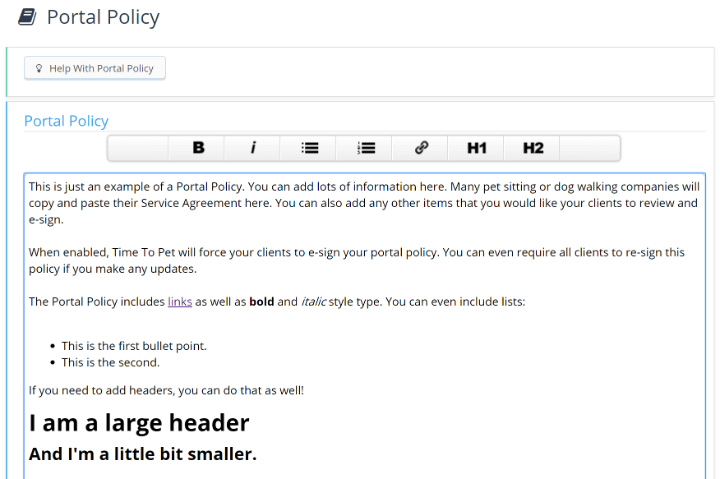 The portal policy is a custom agreement that you can create directly inside of Time To Pet. When making updates to the policy - you can even force all clients to re-sign the new policy! Existing customers can login to your Portal by using the Client Portal tag link. But what about new clients? 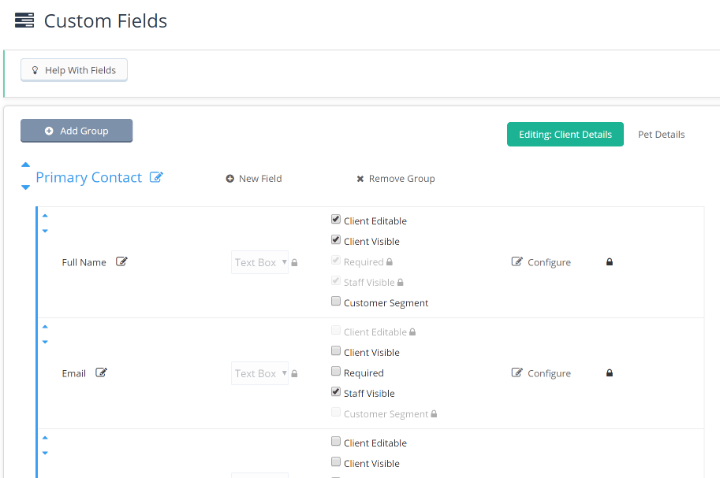 Time To Pet allows you to create a custom new client form. After creating your new client form, you can add a new link directly to your website for these new clients! Connecting your Time To Pet account with Quickbooks Online allows you to sync invoices, payments, client info and more! 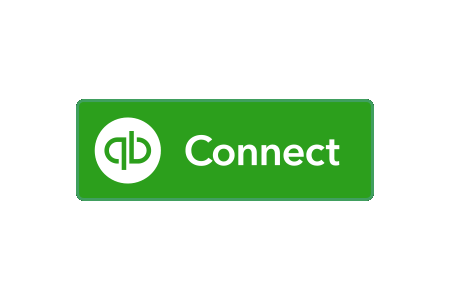 The Quickbooks Online integration is real-time which means your data is automatically synced. No more double entry into your accounting software! You’ve worked hard on creating your brand and your pet sitting software should reflect that. 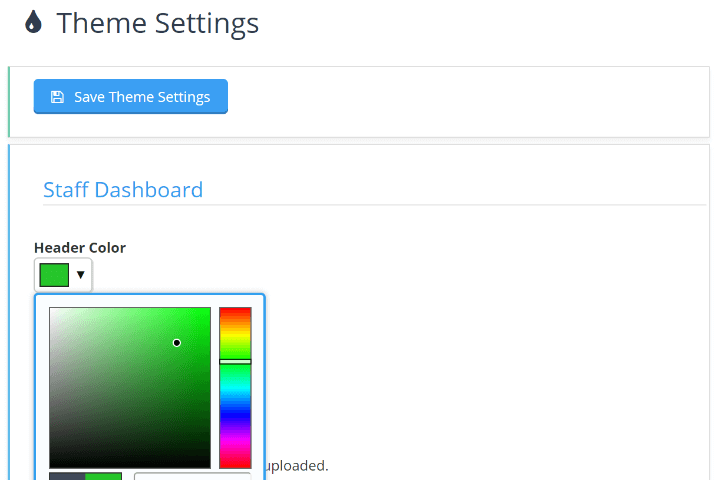 In theme settings, you can customize all of the coloring in your Time To Pet account to match your business colors. This includes the dashboard, the Client Portal and all emails sent from your company! We understand that maintaining the security of your data is of critical importance. That’s why all communication in Time To Pet is done with the same 128 bit level encryption that your bank uses. Our data centers are also manned with 24/7 security. 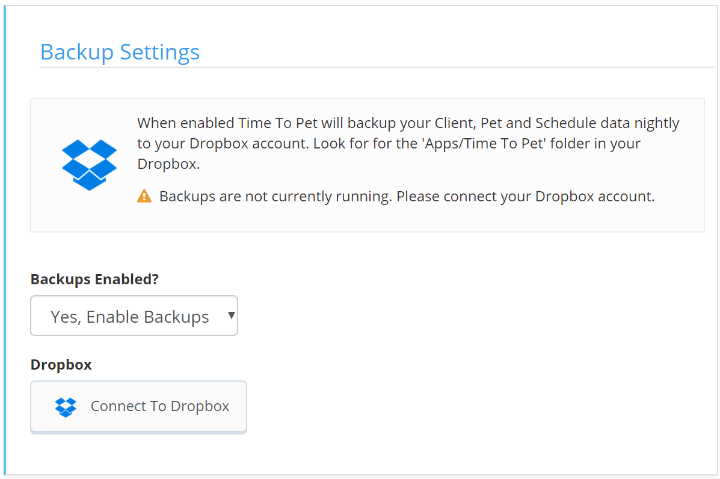 In order to make sure you always have access to your data - we also support a Dropbox integration to backup your data, a redundant server system as well as a fully replicated backup server.